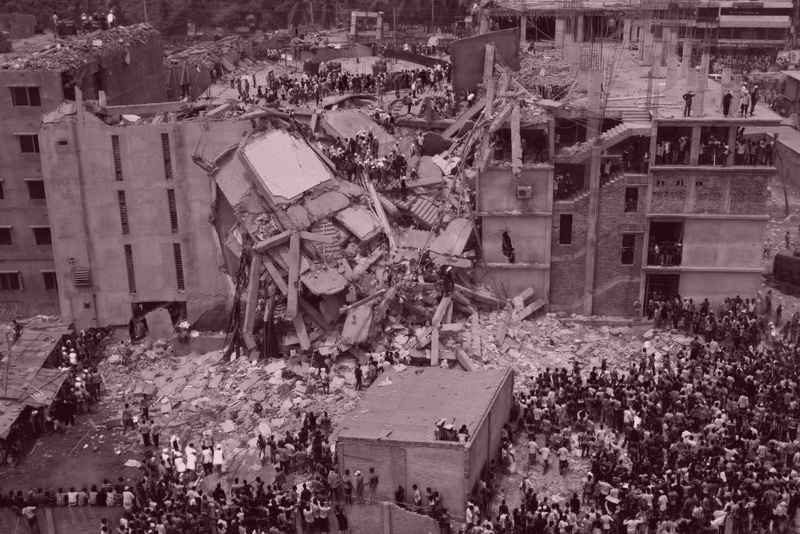 This weekend marks the third anniversary of the Rana Plaza tragedy, which shocked the world and jolted consumers, unions, activists and – eventually – brands into action over conditions faced by those making clothes for the British market. 1,129 workers died in a factory they knew was unsafe. With the threadbare state of workers’ rights in Bangladesh, those workers knew if they walked out of the factory they would lose their livelihoods. Instead, they lost their lives in a disaster that was both unprecedented and inevitable. Three years on, we’d love to report a sea-change in conditions for workers. And while it’s true that huge problems still face the people making our clothes, there have been areas of progress that should be celebrated. 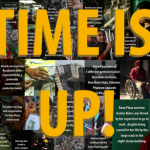 The Bangladesh Accord was forged out the fires of outrage in the wake of Rana Plaza, as brands faced up to their responsibilities and signed a legally binding agreement with Bangladesh’s unions to transform the health & safety environment for workers in their supply chain. 31 UK companies, including many household names, signed up the deal and have been working with the Accord ever since. That’s a huge amount of work in less than three years, and what’s more you can follow the progress on the Accord’s excellent website. The problems show up when you look beyond the initial inspections to see the figures on fixing the problems identified. The Accord shows that 1,388 factories are behind schedule in having their identified problems addressed. Of the 32,033 problems uncovered, more than half are still unresolved. There are two main reasons to be concerned about that. 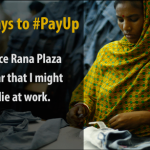 Firstly, while workers in Accord factories may feel slightly more empowered to raise issues, these factories will be at risk of another Rana Plaza until someone steps up to the plate and fixes them. Just last week, it was reported that workers had called the police in alarm when the building they were working in started tilting noticeably. The building was evacuated as a precaution and no one was hurt, but a quick glance at the Accord’s list of factories shows the building in question. How many other factories where structural problems have been independently identified might still be endangering lives? Secondly, the clock is ticking in other ways too. The Bangladesh government is none too fond of trade unions and decent work, and the Accord – enshrining proper collaboration with unions as it does – could be seen as an embarrassment to them. The Accord is not a permanent venture – its time is up in 2018, and although we will do everything we can to support the continuation of the Accord, the first task is to make sure it can complete its original mission before it’s too late. And this, frankly, is where we get back to basics. We welcome the brand’s engagement with the Accord, but something is going wrong in the process. The Clean Clothes Campaign report that only seven of the factories have fixed all the faults exposed by the original inspections. Those factories are still supplying British brands, as well as those worldwide, and those brands have signed up to taking responsibility for making them safe. Instead, workers are still turning up for work in buildings that endanger their safety and even their lives. Something’s missing in the approach, as the NGWF textile union human chain this weekend demonstrates. Whether it’s money or political will (or both) that’s missing we can’t be sure right now – but what is clear is that brands need to supply it fast. When a disaster like Rana Plaza strikes, the anger and grief fuels a period of change where action is demanded and commitments wrenched from those responsible. It’s great that so many British companies signed up to the Accord in the white heat of the aftermath of tragedy, but we need to find a more sustainable fuel to keep pushing them to live up to their commitments and ensure that promises are kept. “Hurry up,” may not be the most inspirational rallying cry, but it’s the message we need to send right now.